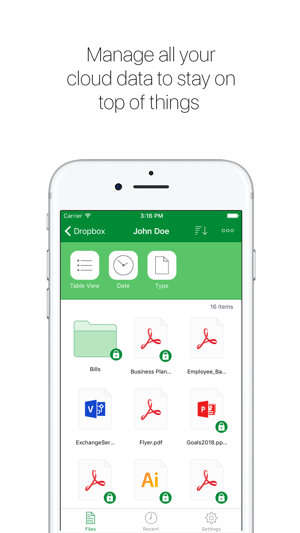 Secure your files in the cloud the easy way and save your privacy. And the best: It's for free! 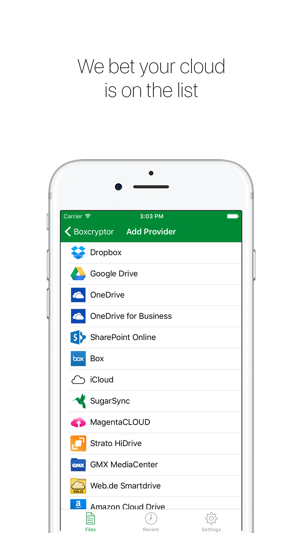 With Boxcryptor, you encrypt your files before uploading them to Dropbox, iCloud, Google Drive, OneDrive and many other providers without sacrificing safety, privacy or comfort. 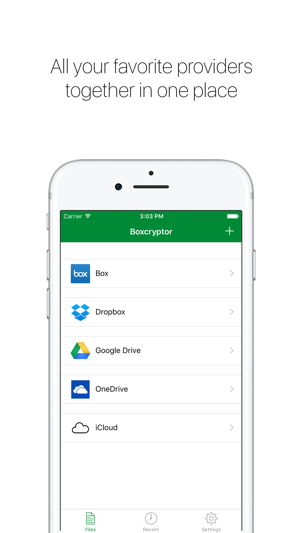 Easily encrypt your files locally and access them via your smartphone or tablet – anywhere and anytime. Your cloud provider only receives encrypted files and you keep control of your data! 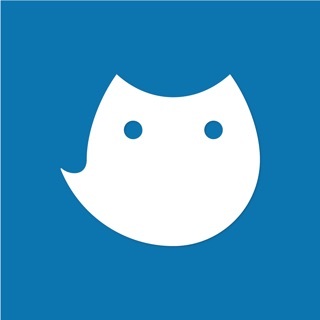 NOTE: If you experience any problems with this app, please contact our support before leaving a 1-star review. You can submit a ticket here: https://support.boxcryptor.com - Thank you! ▸ Secure file encryption using AES-256 and RSA-4096 standards. 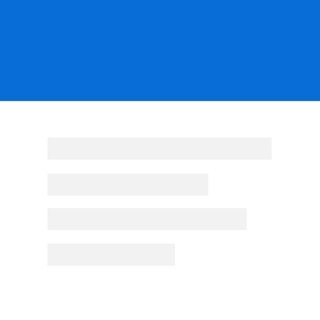 Dropbox, Dropbox for Business, GDrive, iCloud, OneDrive, OneDrive for Business, Box, SugarSync, Egnyte, Strato HiDrive, Telekom MagentaCLOUD, Cubby, GMX MediaCenter, Web.de Smartdrive, mailbox.org Drive, FileSpots, CloudMe, Storegate, PSMail Cabinet, Livedrive, Yandex Disk and others using WebDAV (e.g. OwnCloud). Time to come clean about Apple and IOS. Apple as no wish to create useful tools. Office 365 from Microsoft allows me to create, read and store file interchangeably among devices including windows. Apple has steadfastly refused to crea a mechanism to store a file of this kind to a USB compatible drive of which there are many. Picture files or music perhaps, but not .ppt, docs, or excel. To do this you need to use the cloud and worry over security. Using BOXCRYPTOR I can save a copy of an iPad created document directly to a BOXCRYPTOR directory. No sending or sharing. Or multiple moves, just straight store fully encrypted file created on the iPad locally and open it on my home PC in complete security. All this no thanks to Apple. I have USB drives for saving pics/screen shots, but not any app file from ms office. BOXCRYPTOR is reliable and I’d be using it for years, these reviews that call it junk, are from those who are ignorant. 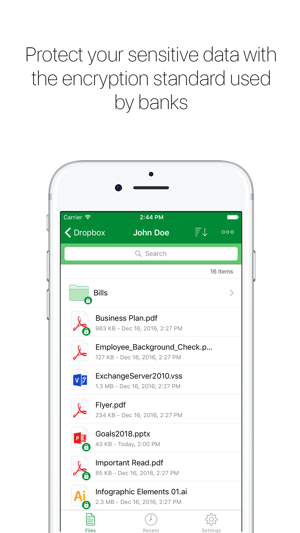 The app works great, easy to use for basic access to your files. I would love to see an option added where we can use our camera to scan to PDF. 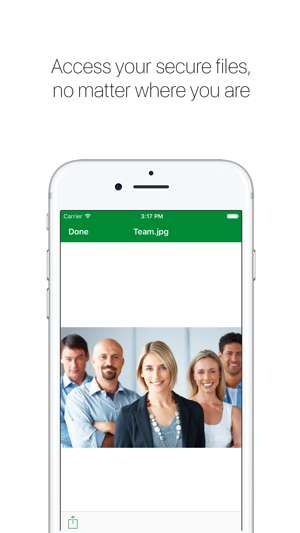 I see there is already a similar option for a jpg but most users these days work with storing PDF files in the cloud so being able to do it directly from the app would be a huge time saver. Completely useless and a waste of money to pay for a subscription (if you want more than two devices and more locations). The app crashes all the time, its slow, it has bugs that shows a prompt every 2 seconds about enabling Files integration (when its already enabled). And don’t get me started on how uploading photos works. One-at-a-time. Yes people, you have to tap the three dots, hit add photo and select the one photo. Rinse and repeat for all the other photos that you want to upload. Unless you want to upload them all, which not everyone wants to do. Oh! Thats even if it will LET YOU select any photos. This last update made it where you can only select a couple, random ones you cannot even click on. 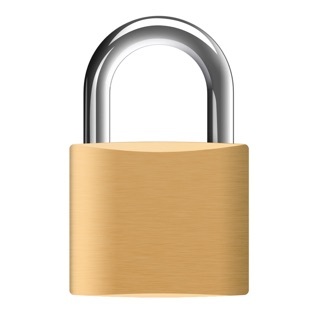 Save your time, and sanity, find a different app that will encrypt data. Don’t waste your time with this garbage.